Grab your sneakers and water bottle for the 2019 Valley of the Moon Vintage Festival 12k and 5k races on Sunday, September 29, 2019. 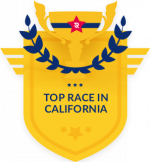 Produced by Destination Races and sponsored by Sonoma Fit, the race is a fun run through downtown Sonoma and the scenic vineyards. For the little ones, the Tiny Tots race starts after the 5k and 12k. If it’s your first race or you’re a pro, there’s a distance for you. Register today. The Vintage Festival 12k and 5k does not offer any refunds. Can I sign up race day? There will be limited amount of space for race day registration as well as an additional $10 fee. Shirts also will be limited and there is no guarantee that you will receive a shirt. How do I sign up for the Grape Stomp as well as the wine tasting and other add-on’s? The great part about this event is also being a part of one of the oldest festivals in California. Yes, stay and have fun, wine taste and enjoy the grape stomp in the square. Sign up on line when you register. If you already signed up and want to add the add-on’s please contact the race director to receive a code for add ons. The 5k and 12k races will start together at 8:00am. Yes, bring your running jogger with your kids in tow and let them enjoy the race. We are a dog friendly race. We don’t encourage dogs, however if you wish to bring your friendly dog please have them on a leash and please start towards the back of the race. In addition, please make sure you pick up after your dog. Also, there are no dogs allowed in Sonoma Plaza but on surrounding streets is ok.
We have course marshals on the course and they can provide assistance to runners. Please identify one and let them know you are injured. We will arrange to have someone help you. There will also be ample Law Enforcement and all will have communication with our Medical Team. At the Vintage Festival Race Tent on Saturday, September 29th, between 11-3 and on Sunday morning September 30 between 7am and 8am. If you plan on picking up your race packet on Sunday please arrive early. The race will begin on time. Yes, you may authorize a friend or family member to pick up your race packet for you. They must bring a copy of your photo ID to packet pickup. Yes, the race wouldn’t exist without the support from volunteers! While we have various organizations that provide volunteers, we also welcome individuals to sign up to volunteer. Please email the race director if you are interested in Volunteering. What awards are available to runners and teams?